What happens when a California girl meets a Montana guy in the middle of a crisis? Sara wished for a husband for Christmas this year and then married her boss. Now she is running for her life from him with a warrant out for her arrest, doesn’t want to be married anymore, and really needs a miracle to save her. To top off her week – she finds herself in the middle of a Montana snowstorm and sicker than she’s ever been. Trent quit the FBI to return home and became a sheriff. As the most eligible bachelor in Castle Peaks, he’s had his share of women chase him, but has been disinterested; until now. He has a sworn duty to protect the town’s citizens and assist other agencies in doing the same. When faced with a suspect in a criminal case, will he make the arrest or lead with his heart? Join Sara Brownell as she runs for her life, straight into the waiting arms of local sheriff Trent Harding. Throw in a life-size nativity and plenty of snow and watch the magic of Christmas come to life. 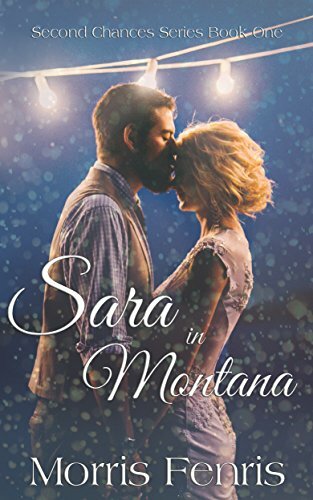 See how “Sara in Montana” forever changes the lives of Sara and Trent as well as those around them. “An intriguing and Brilliant read! A very well developed storyline. There is just nothing more frustrating than a boring outstretched story. Not this one! I absolutely loved the Author’s writing style. Fast paced and to the point with excellent surprises along the way. As you read you become entangled together with the characters, the plots and surroundings. The Author writes so well you feel you are their with them, experiencing the same as they do.